Miele has done it… Years and years of engineering and testing have brought you the most versatile upright vacuum on the market. 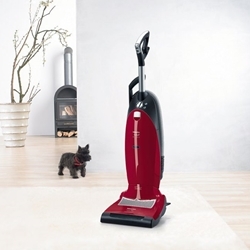 Allow me to introduce the Miele U1 series upright vacuum with a wide range of features. Vacshack.com offers you the largest selection of Miele Upright Vacuums available in one place. Browse around and compare the models that fit your needs. Feel free to contact us with any questions.